Integrated Services Digital Broadcasting Terrestrial (ISDB-T) is the standard adopted in Ecuador since 2010. There is a lack of proposals for taking advantage of communication alternatives with citizens, which the new digital technology will bring. The speed for alerting the community about dangers associated with natural hazards is an essential issue. There are many devices to alert population but none of them has the level of dissemination within households as the television does. 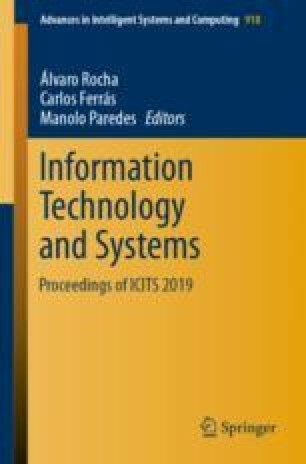 This paper presents a software solution for early alert using the UCuenca-SDI (Spatial Data Infrastructure) core to activate an Emergency Warning Broadcasting System (EWBS) protocol in a Digital TV. The solution has two components: (a) A schema to integrate the trigger module into the SDI, where the activation code is generated for EWBS. (b) An interactive app software developed over GINGA, where citizens can access instructions about actions, such as maps and text messages, established by activating emergency organizations to evacuate or to make decisions concerning a particular event. This project was financed by the DIUC funds under the XV project contest, with the name “Geoprocessing SDI as support for vulnerability analysis and territorial planning” 2017–2018. This project had the collaboration of DTT working group and laboratory of ESPE, through Dr. Gonzalo Olmedo. Special thanks to Ing. Ricardo Peñaherrera and Ing. Leonardo Espinosa of the SGR for their support regarding early warnings and DTT.